Tammi Durden International – Get Up, Dust Yourself Off And Win! Get Up, Dust Yourself Off And Win! 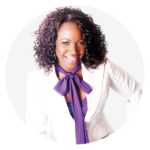 Tammi Durden International, LLC provides corporations, organizations and individuals with an exceptional resource for inspirational speaking, transformational coaching and training consulting across the globe. Our mission is to empower clients to overcome obstacles and setbacks, while propelling them to become stronger performers and maximize their potential. If you are seeking a dynamic speaker from corporate to religious settings, I am the dynamo you are looking for. I bring passion, excitement, and enthusiasm to any topic when speaking. Contact me now for your next event! My coaching program expedites the recovery process for women professionals who have experienced setbacks and challenges in life. I provide a strategy and step by step roadmap that gives you a bridge to cross over from stagnancy and unproductivity to living your greatest life NOW! I will deliver customized training sessions, workshops and educational solutions for your organization on various professional and personal development subject matter that are sure to get results! Thank you for speaking at our PWG meeting on Saturday. Thank you for your transparency in sharing your story with us. I wanted you to know I have already used the first two steps. I had been researching an important matter for which I would need to make a decision soon. I made that decision Saturday evening and within a few hours of making it I started to doubt myself. I recognized those negative thoughts and admitted my self-doubt and fear. I told myself to quit it! I told myself that I am a smart woman who had done my due diligence in researching the matter. With a lot of prayer, I had made the best decision for me. That was a "mind-shift" for me. Thank you for giving me the tools to change my thinking and change my world... one step at a time. I am writing this in support of Tammi Durden. She worked one on one with me, starting at the very basics. She was very patient and professional with me. It was never a “can we do this” but rather a “ we can do this” attitude. Her confidence in me went a long way towards boosting my confidence. She showed me ways to make the process more user friendly and techniques to enable me to document accurately but rapidly. I will never be a star at EMR but now I’m pretty sure I won’t resign because of it. I am excited that I am now able to see patients and document in the 21st century! I would recommend Tammi Durden highly and without reservation. I can’t say enough great things about Tammi Durden and her personal coaching services. Wow, where do I begin. I connected with Tammi during a pivotal point in my life. I was literally in a downward spiral professionally and personally. Tammi helped me to regain my sense of purpose by helping me to identify what works well and is good for me and letting go of things that no longer serve a purpose. Tammi’s approach allowed me to obtain a clear vision and direction. I was particularly impressed with her ability to make a dramatic difference on how I now view myself. She is professional but passionate about helping others. I can now say I am confident, purpose-driven, know what is important to me and for me and I have the tools I need to be successful in life. Thank you Tammi!!! 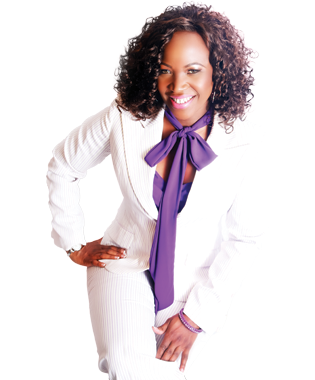 Tammi I just love your motivation, inspiration and courageous words. They really make a difference in my life! May God Continue to Bless you with Many More Seeds to Spread!!! Winning Over Setbacks - We Show You How To Get Back Up & Win Again!